"The gospel is neither a discussion nor a debate. It is an announcement." "Ultimately the gospel is not for the proud, the arrogant, or those who believe they can get to God by themselves. God intentionally chose a foolish message to humble us and to guarantee that no one would boast in his or her own intelligence. He chose the cross to stifle any inclination in us to think we got to Him on our own. All the glory goes to God." God loves you as if you were the only one in the world to love, and he has done everything necessary to enter into a real, personal, lasting relationship with you. Every human being is sinful (often felt as personal shame and guilt) and thus separated from a pure and holy God (Romans 3:23). The penalty for sin is death -- that is, eternal separation from God (Romans 6:23a). Jesus Christ died in your place so that your sin can be forgiven and you can be brought into a right relationship with God (Romans 5:8). To be forgiven for your sin and be brought into a right relationship with God, you must accept Jesus Christ as your personal Lord and Savior (Romans 10:9-10). Having given control of your life to Christ, you must decide to stop living for self and start living for God (Mark 8:34-35). GOSPEL -- the joyous good news of salvation in Jesus Christ. The Greek word translated as “gospel” means “a reward for bringing good news” or simply “good news.” In Isaiah 40:9, the prophet proclaimed the “good tidings” that God would rescue His people from captivity. In His famous sermon at the synagogue in Nazareth, Jesus quoted Isaiah 61:1 to characterize the spirit of His ministry: “The Spirit of the Lord is upon Me, because He has anointed Me to preach the gospel [good news] to the poor” (Luke 4:18). The gospel is not a new plan of salvation; it is the fulfillment of God’s plan of salvation that was begun in Israel, was completed in Jesus Christ, and is made known by the church. The gospel is the saving work of God in His Son Jesus Christ and a call to faith in Him (Rom. 1:16–17). Jesus is more than a messenger of the gospel; He is the gospel. The good news of God was present in His life, teaching, and atoning death. Therefore, the gospel is both a historical event and a personal relationship. Faith is more than intellectual agreement to a theoretical truth. Faith is trust placed in a living person, Jesus Christ. 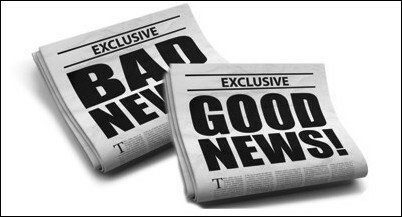 When the apostle Paul warned Christians of the dangers of following “another gospel” (2 Cor. 11:4), he was reminding them that any gospel different than the one he preached was no gospel at all. In the second century, the word “gospel” came to be used for certain writings in which the “good news” or story of Jesus Christ was told. These writings were written in the first century, but they became known as “gospels” much later. Mark was the first to write such a story (Mark 1:1), and in so doing he invented a literary form that we call a “gospel.” The New Testament has four versions of the one gospel: the Gospels of Matthew, Mark, Luke, and John. If you have accepted Jesus Christ as your personal Lord and Savior, then the next step is to start growing and maturing in your faith. The key is to focus on the basic building blocks of the Christian life: prayer, Bible study, and fellowship. Here is a good place to start. It is vital that you find and join a Bible believing church as soon as possible. And you may wish to check out this list of free, excellent informational resources that can prove especially helpful for the new Christian. You should also be aware that, as a new Christian, at some point you will probably have doubts regarding your salvation. This is actually normal, and there is no reason for alarm. Click here to learn more about assurance of salvation.